Aren't these rainbow-hued sun flares cool? 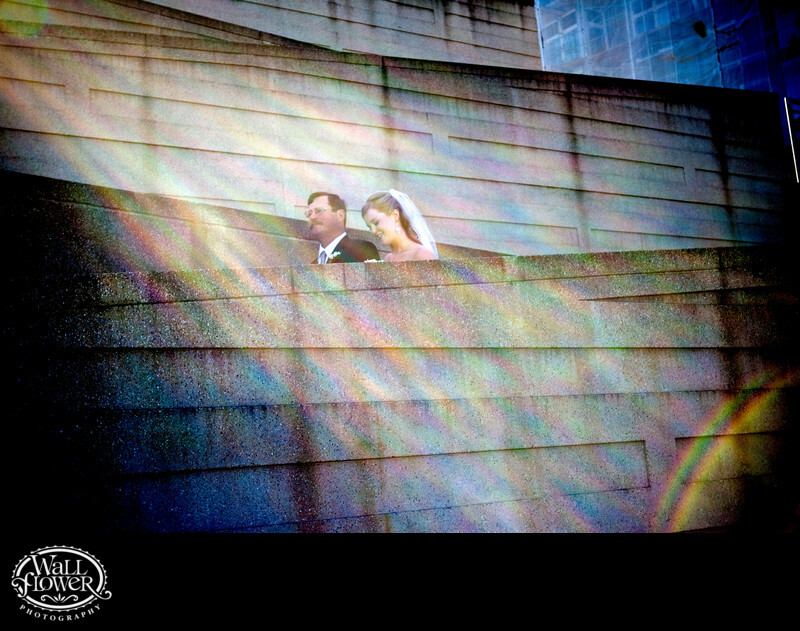 The sun was just peeking above the huge Museum of Glass edifice on its way down for the evening when this bride and her dad descended the museum's concrete ramps to her wedding ceremony on the Main Plaza. I love all the different diagonal lines that these ramps provide, and being able to step back a bit and catch those sun flares was a nice bonus. Most importantly, of course, the bride and her dad look terrific, with a proud confidence in dad's eyes and a shy smile on the bride's face.